The block sets have four blocks, and each block has six differnt images on it. By arranging the blocks in different ways, any number of stories can be created. 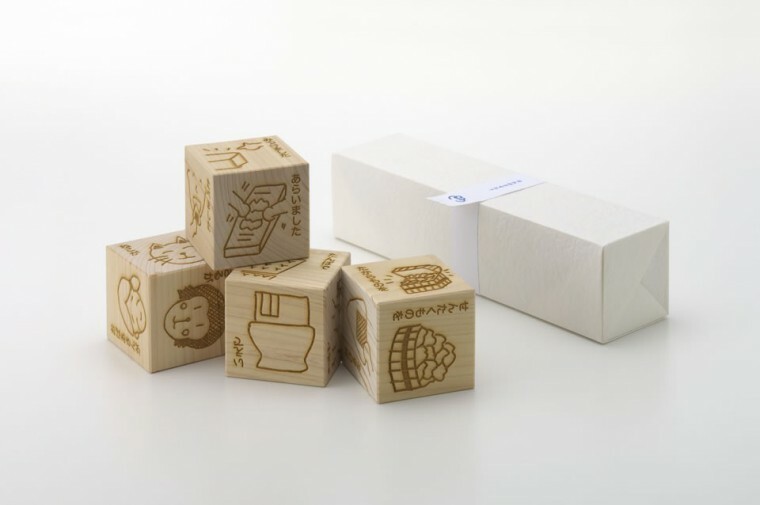 Each set comes with a sheet of paper explaining the images on the blocks. There are several sets of blocks: on set has Tono folktales, one set is based on The Legends of Tono, and there is a set of English, Korean, Italian, French, and German language blocks. Blocks can also be ordered to have personalized themes. Turning a wooden cube, you can enjoy folktales, with lots of fun by getting a feel of forest from the five senses--looking at the woodgrain pattern, smelling the aroma, and inspired by the texture. 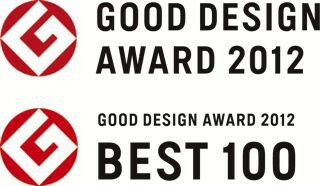 The Good Design Award is a comprehensive design-promotion system that picks good design out of a variety of unfolding phenomena, and aims to enrich our lives, industries,, and society as a whole by highliting and celebrating these works. It is hosted by the Japan Institute for Design Promotion, a public interest incorporated foundation. It's precursor, the Good Design Selection System (or G mark System), was founded in 1957 by the Ministry of International Trade and Industry (the current Ministry of Economy, Trade and Industry), and has been engaged in this work for about 60 years. Our products: "Who did what? 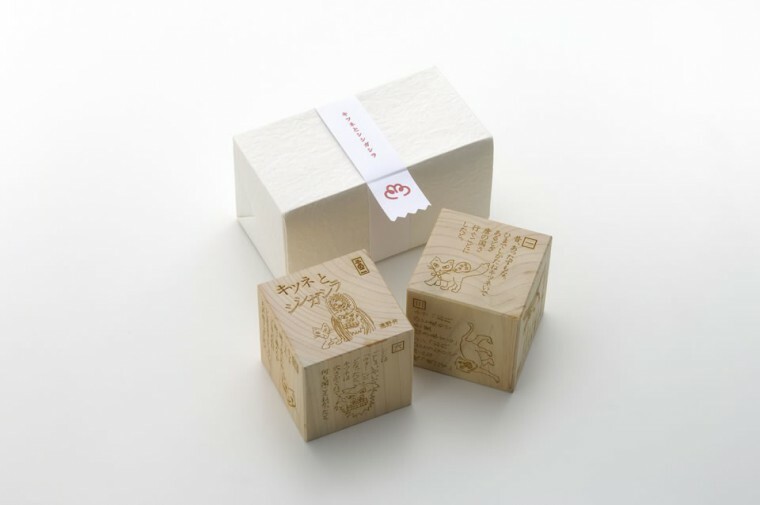 "and "Fox and Shishi-gashira" are 2012 GOOD DESIGN AWARD winners, also chosed for GOOD DESIGN BEST 100, as an excellent design, evocative of the Tohoku region where it was made, linking people together with each other and with the next generation. Copyright © 2019 moku moku picture book lab. All Rights Reserved.